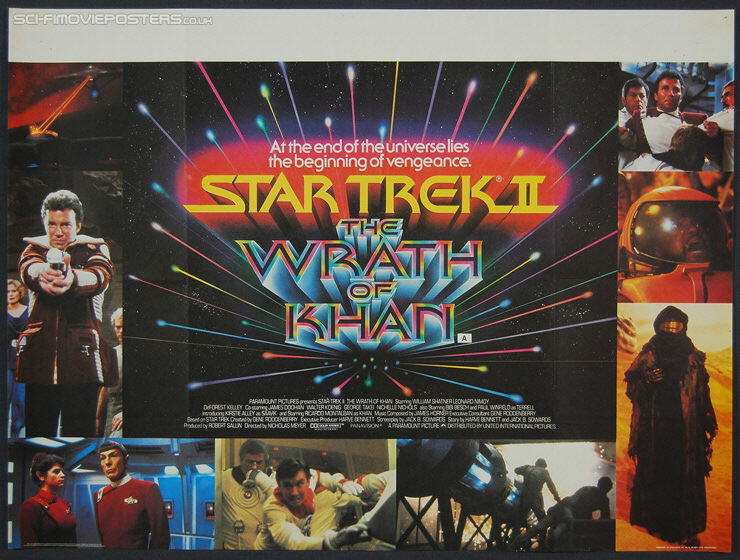 Star Trek II: The Wrath of Khan (1982). Original British Quad Movie Poster. 30" x 40" Single sided. 1982. Excellent 8.0 Folded. Ten pin holes and paper tape in corners on rear.